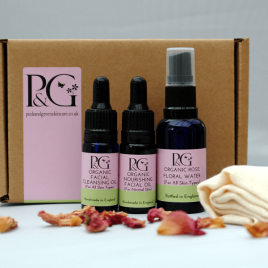 This collection includes 4 full-size organic skincare products. Treat yourself or a friend. For full description, ingredients and usage instructions, please follow the links below. 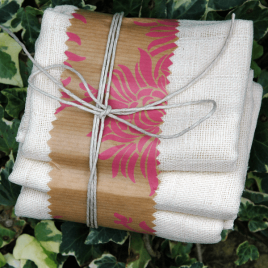 Organic Muslin Face Cloth Trio 100% unbleached organic cotton muslin cloth. 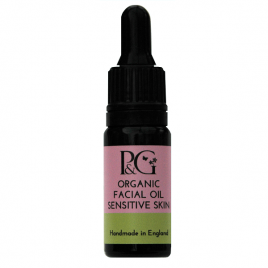 Use to gently exfoliate your skin whilst following your cleansing routine. 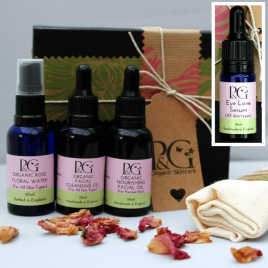 Suitable for vegans, no animal testing or animal based ingredients.